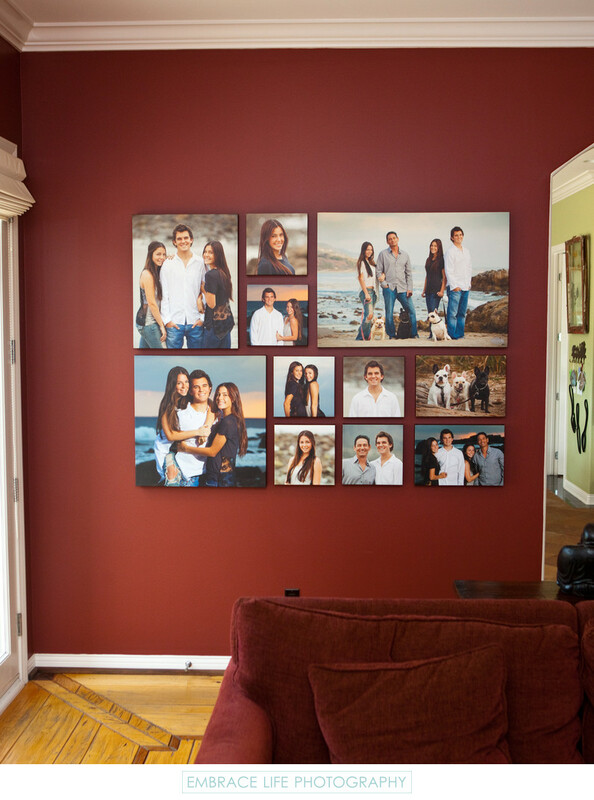 When this Malibu family portrait client wanted to surprise his wife with personalized wall art for Mother's Day, we were thrilled to design this large, custom canvas collection for him. Made up of 11 individual canvas prints, the overall size of this portrait installation is roughly 50x70". As part of our service to our portrait clients, we're able to help install complicated pieces such as this one. Keywords: Wall Art Prints (15).